I was asked by DoP Nino Leitner to do a BTS documentation for a Music Video Shoot for the band Those Goddamn Hippies directed by Nicola von Leffern. 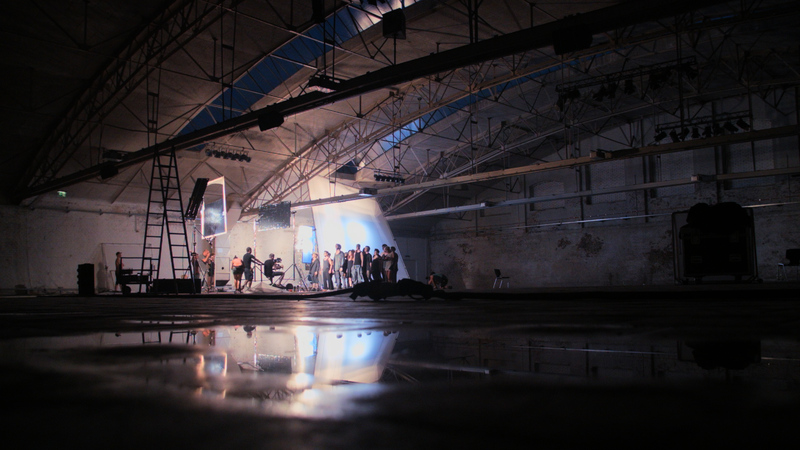 The main location for the music video was a event-location at the old Anker Brot factory that looks like an old warehouse which has great natural light due to very long roof windows. But also strong contrasts between sun areas and shadows. On the BTS shoot I mostly used the Canon XC10, except for the interview, which I shot with the Canon C100 and the XC10. 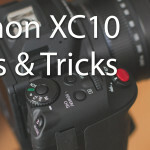 My Canon XC10 in-depth review is available on my reviews and gadget news site gadgetflux.net. I also took the CAME-7500 brushless 3-axis gimble with me to achieve smoother movements when documenting the crews and musicians work, more about the usage of the CAME-7500 later. 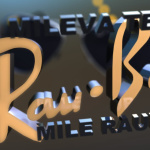 I filmed in mixed resolutions at 4K and HD. Wideshots with lots of detail in 4K and close shots in 1080p at 50p. 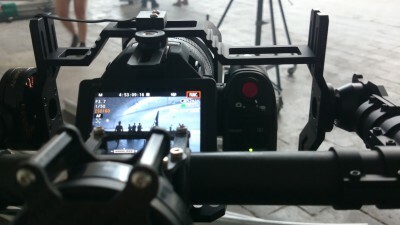 The second BTS cameraman was Gunther Machu who used a Blackmagic Pocket Cinema Camera with a Sigma 18-35 f1.8 connected via Metabones adapter. Below is his very nice look behind the scenes from the music video shoot. Although the BMPCC image looks different from canon’s, with a bit of correction they intercut nicely. Interestingly to see was that the ProRes 422 material from the BMPCC has slightly more banding when graded than the XF-AVC material (4K & HD) and the XC10 material was not so easy on extreme highlights. I should have exposed it 1-2 stops darker in order to not outblow some of the extreme highlights, shadows can be pushed pretty good from XC10 material (Picture Profile on the XC10 was set to Standard). 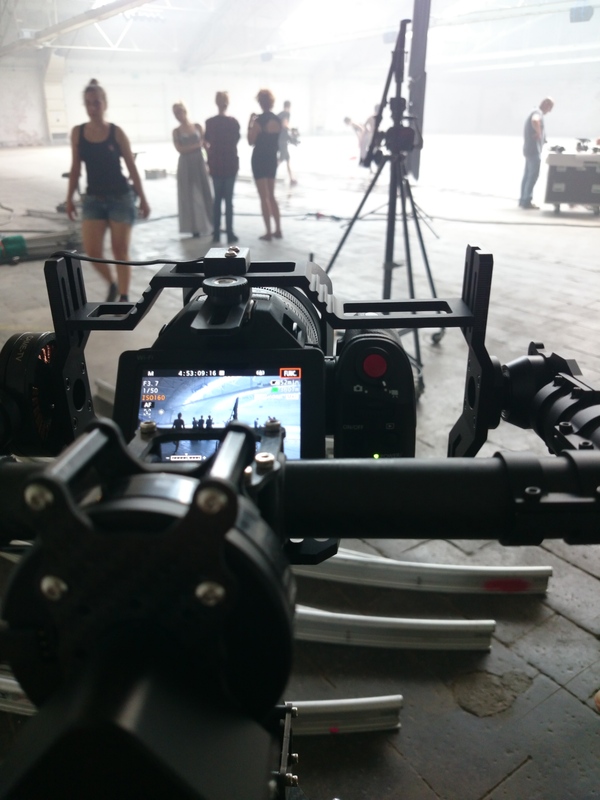 Most of the music video was only shot at the warehouse location by DoP Nino Leitner who used a Sony FS7 with new Zeiss Batis lenses, Zeiss Loxia and Distagon ZE Prime lenses. 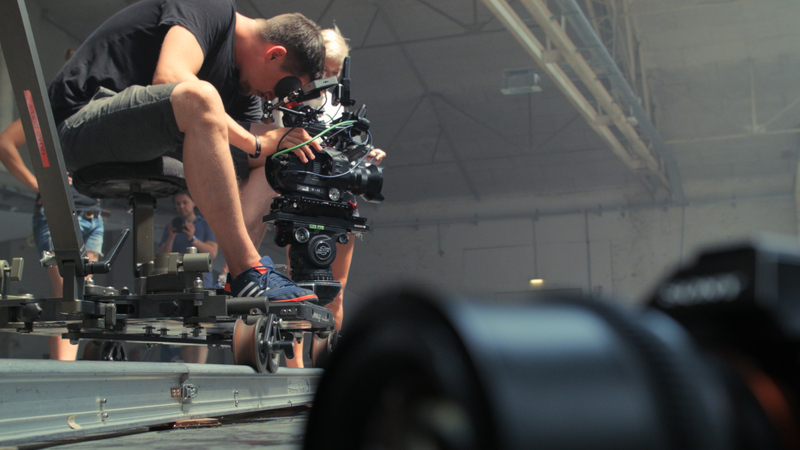 For more flexible movement during the dance scenes Nino used a Sony A7S on the MōVI M5. As long as sunlight was coming from the big rooftop windows only the natural light and some bouncers were used. Later when it’s getting dark, artificial light with huge butterflies were used to get a soft look for the talents. 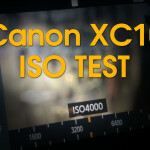 The CAME-7500 did a pretty good job with the Canon XC10 on it. Movements are nice, but the gimbal needs a bit of finetuning with the free software SimpleBGC, after that movement is very nice and soft. I entirely used the Follow Mode on the gimble and had turned on autofocus on the XC10 which prooves very reliable and tracks faces if there any or any other object that is fixed via touchscreen or just the whole scene. The final Music Video. Directed by Nicola von Leffern and shot by Nino Leitner. For full credits read Nino Leitner’s article from the shoot.